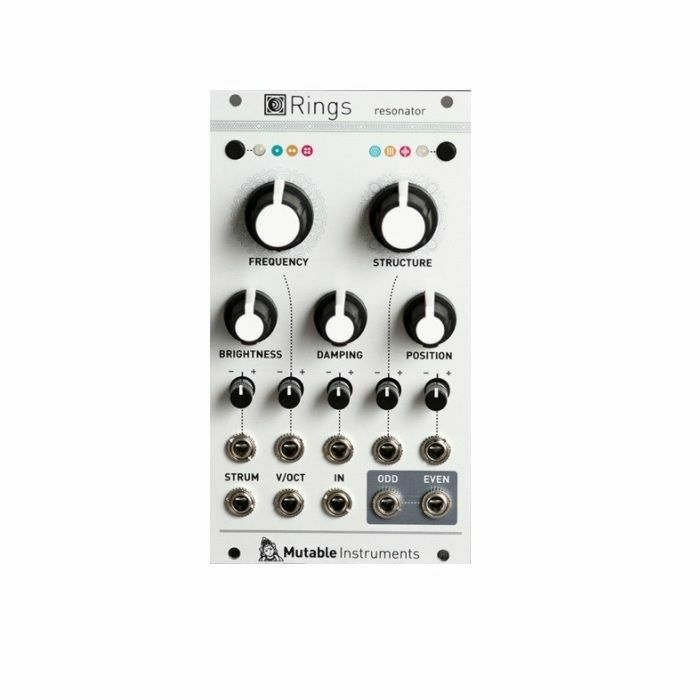 Rings brings physical modelling synthesis to your Eurorack system, from a more modular angle than Braids' models or Elements. Instead of trying to be a complete instrument, Rings focuses on the key ingredient, the resonator, ready to be excited by envelope clicks, trigger pulses, granular noise or any other audio source produced by the rest of your system. - Strings, membranes and tubes as modelled by Elements' resonator section (modal synthesis). - Strings coupled together and vibrating in sympathy, with controllable intervals between them. - Strings with a variable amount of inharmonicity.